It’s a tough job, navigating life, but at least we’ve got some hilarious TV to help us deal with it. And nothing makes us laugh harder than Unbreakable Kimmy Schmidt, this incredible Netflix comedy that stars Kimmy, a girl who was kept in an underground bunker, and Titus Andromedon, a fabulous actor in NYC doing all he can to make it. 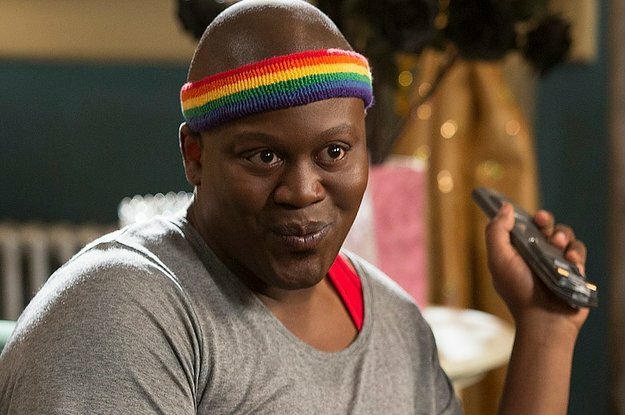 Titus is great at helping us understand this crazy mess we call life, and he has an amazing sense of humor that only Unbreakable Kimmy Schmidt fans will understand. 1. When you’re trying to explain how awesome you are. 2. When you’re trying to get bae’s attention, but they’re not looking. 3. When you turn 30. 4. When you’re trying to get the juicy deets out of your friend. 5. When mom asks you to take out the trash. 6. When you’ve got the whole house to yourself. 7. When pay day comes around. 8. When your bestie asks for your style expertise. 9. When you get dumped, and you just want to sleep. 10. When you’re tired of paying bills and doing laundry. 11. When you’re trying to tell a story, but your BFF just doesn’t get it.